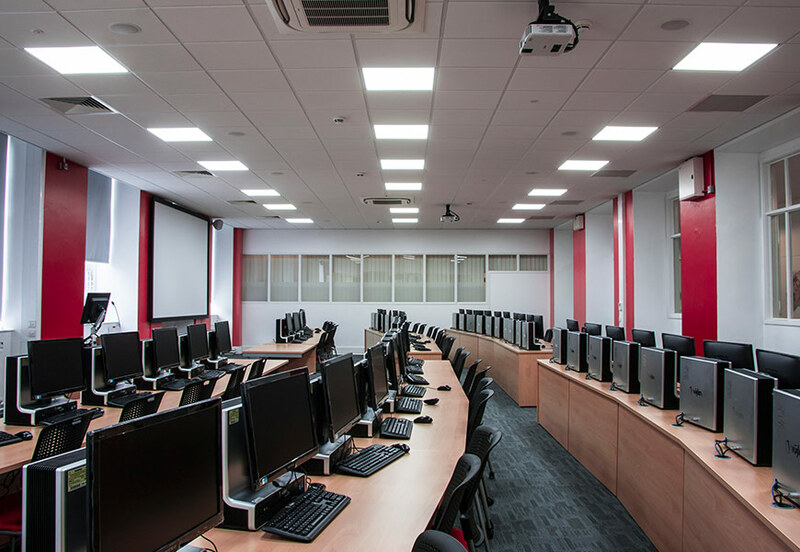 During a refurbishment of its IT labs, Aston University installed LED lighting and presence detectors from Tamlite Lighting, reducing its lighting energy consumption by a staggering 88% and saving £2,200 a year on electricity bills. Aston University in Birmingham with its 10,000-strong student body, keeps a keen eye on its carbon footprint. It has in place a demanding target to reduce CO2 emissions by 48% by 2020. Also subject to a raft of legislation – Carbon Reduction Commitment and Display Energy Certificates – Aston University has risen to the challenge of improving its environmental profile. Read more. In order to make energy-saving improvements across the campus, Aston took advantage of government-backed financing in the form of the Salix Revolving Green Fund. Following other successful projects (including boiler upgrades and pipework insulation), attention turned to addressing the outdated T12 and T8 fluorescent lighting in the university’s IT labs. 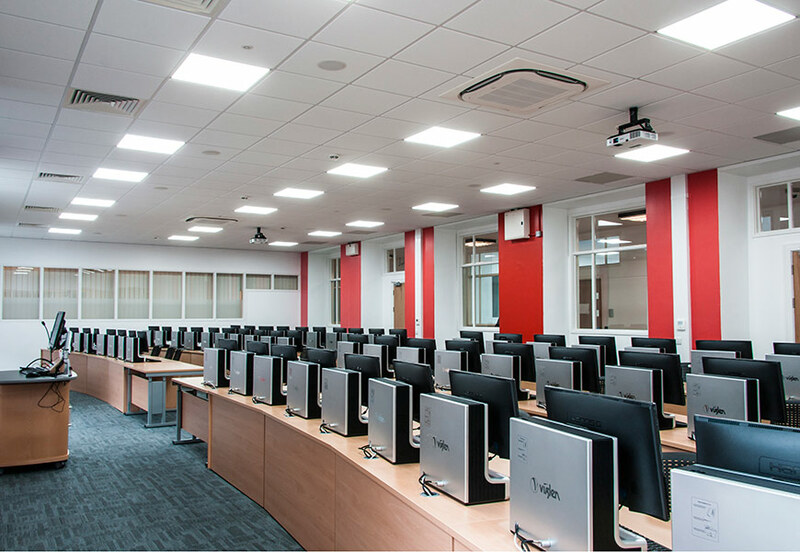 The three IT suites were due to undergo refurbishment and Aston’s Energy Manager, Andrew Bryers, saw this as an opportunity to put in place the latest lighting technology. 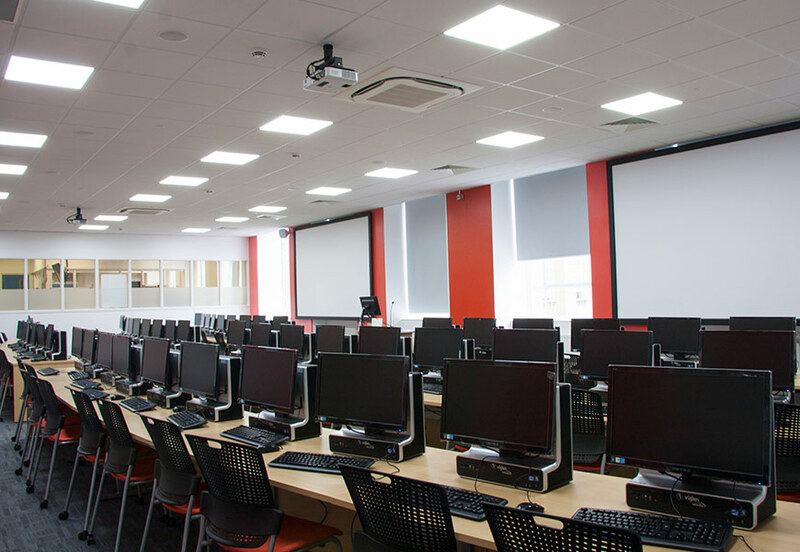 In its IT labs, Aston installed 60 of Tamlite’s Infinity TM LED panels, controlled by 8 Vision 103 passive infra-red sensors. The 600x600mm LED panels give out bright, cool-white light with a total circuit load of 50W and a lifespan of 50,000 hours. The Infinity TM LED panels’ glare control means that there is no problem with light bouncing off computer screens. This helps to ensure students have a comfortable working environment. Meanwhile, the ceiling-mounted Vision 103 sensors have a 6m diameter detection area, which means that the lights switch on instantly when someone enters the IT labs. And, when a room is empty, the lights automatically switch off again. 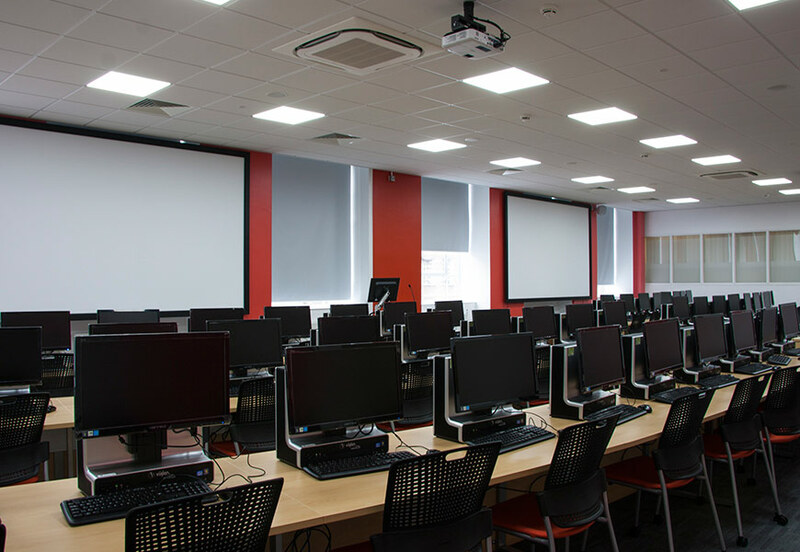 Targeting energy waste through better lighting control, plus the long-lasting, low-energy technology of the Infinity TM LED panels, has netted real, on-going savings for the university. Aston estimates energy savings of 26,000kWh – a staggering 88% reduction in lighting energy consumption. This translates to a financial saving of £2,200 every year. Plus, Aston has shaved 13.6 tonnes of CO2 from its annual carbon footprint – an important contribution to meeting its carbon-reduction targets.